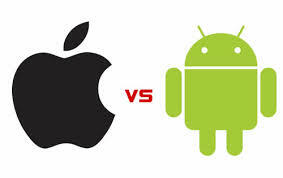 The battle between Android lovers and IOS lovers is the most debated all over the world. On the surface, people fight over flexibility provided by Android and how IOS is a closed platform which needs iTunes all the time however, looking at Android rooting articles published on hundreds of blogs everyday – we can safely say, humans are not satisfied with anything they get… always wanting more and something different to play with. 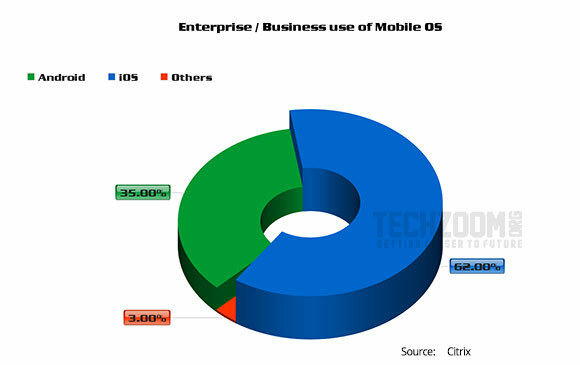 There are other mobile operating systems such as Windows Phone, Blackberry, ect. They may or may not offer something very different but since these are not in the ‘hot battle’ right now, these stats don’t show them or either shows them under ‘Others’. 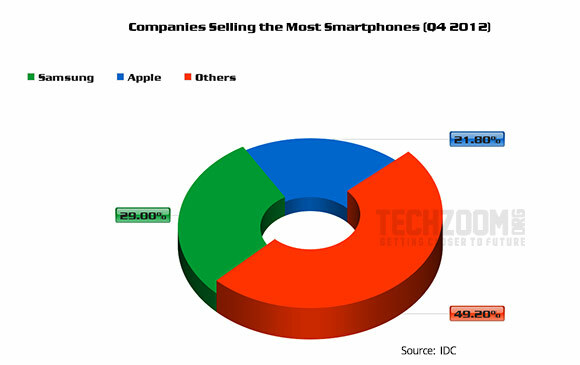 The research conducted by Kantar Worldpanel Comtech shows that – In recent times, Android smartphones are sold more than iOS by a margin of 52.1% to 43.55% respectively. 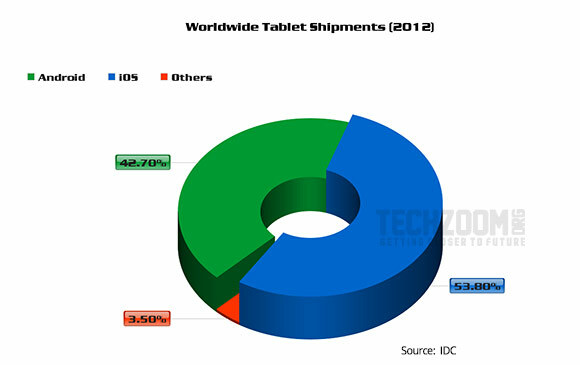 IDC’s report published last year in December shows little drop in iPad sales due to increased demand for 7 inch tablets. No wonder why Apple hurriedly launched the new iPad Mini. 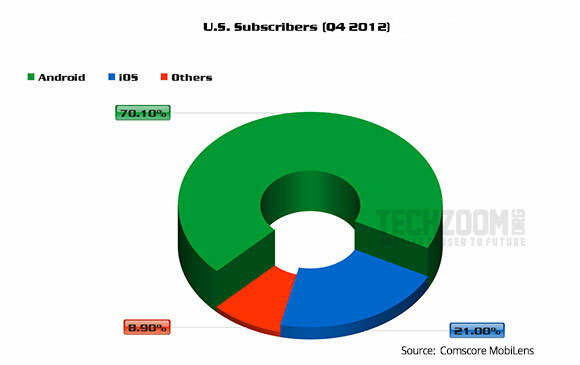 In any case, Apple iPad is a definite market leader in the segment. We all know Samsung has taken over the number 1 spot from Apple last year in selling the most smartphones worldwide. Situation hasn’t changed while Apple is still sitting on the second spot. Apple in this case has surpassed Samsung marginally; however there is equal number of other mobile phones shipped in U.S. during Q4 2012. 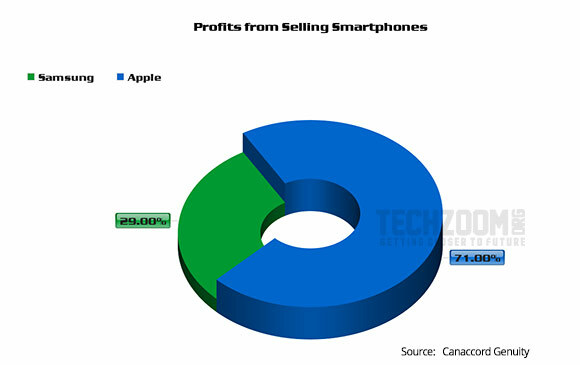 Samsung made its most of the profits by selling Android phones but they also produce Windows Phone handsets whereas, Apple has managed to make a lot more money selling their iPhone. Probably because Microsoft is taking money from Android manufacturers and success of iPhone 5 even though most people did not like the this new iPhone. 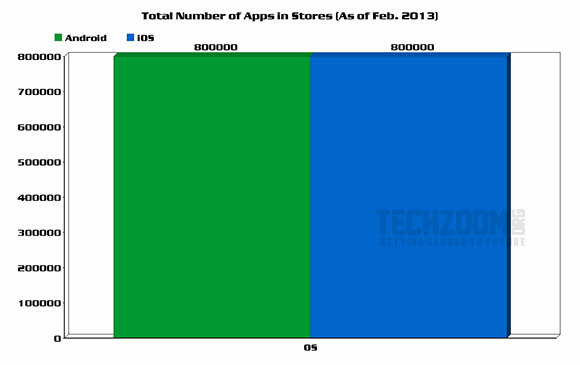 Apple and Google Play claims to have about 800,000 apps in their respective app stores. Though, the number of truly useful apps might be very less – the app store comparison purely on the numbers game is even at least. 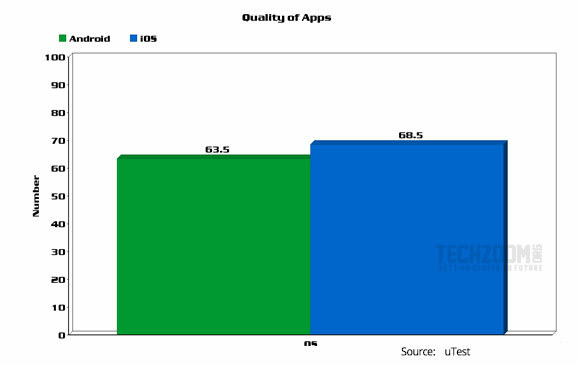 It could be very difficult to gauge overall quality of apps of the entire store – but, from what I have seen on both the platforms it’s not that difficult to tell that the more iOS apps have been the best in overall experience, utility and UI design than that of on Android apps. According to Canalys, Android saw the most downloaded apps in first quarter this year. The fact that – Android had and will have more app downloads than iOS or any other mobile OS because, most of the apps are free & with growing number of Android devices sold worldwide – this will only grow further. As said earlier, Android has more number of free apps than iOS yet users on iOS are spending more to buy these apps. 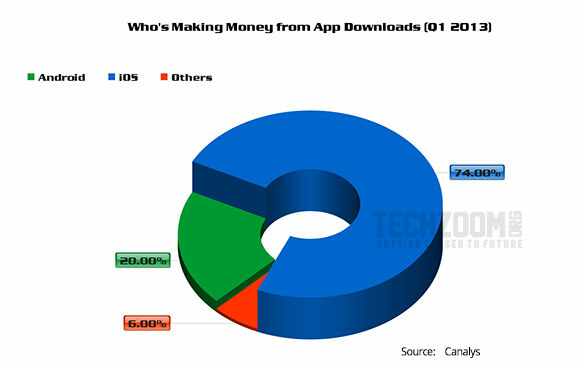 Although Android has huge number of app downloads – Apple is generating more money for them and their app developers through less number of apps download. thereforce this strategy is working phenomenally for the company. If it’s a business – it has to generate good amount of revenue to motivate everyone on all levels. NetMarketShare recent report on use of Internet through mobile OSes shows 61.4% of all the users accessing Internet, are coming from iOS. However, this number varies on different researched data, so here we show the average of all of those stats where too iOS holds more share. Android is still getting into the groove for enterprises and in an attempt, they recently launched private Google Play stores for their enterprise customers. So, the numbers below might see a shift in days to come. There is no winner or both are the winners in multiple aspects because, neither iOS nor Android is ruling the top spot in all areas of their reach. Both of them have managed to do great in some or the other areas like; Android is getting more popular and seeing huge smartphone sales in recent times but iOS is ruling the tablet segment with huge profits from devices as well as from apps.